Learning to code can be a daunting task when you’re starting out — and a bit pricey. To help out, Code School — who have classes on all the major languages and disciplines — is free this weekend. 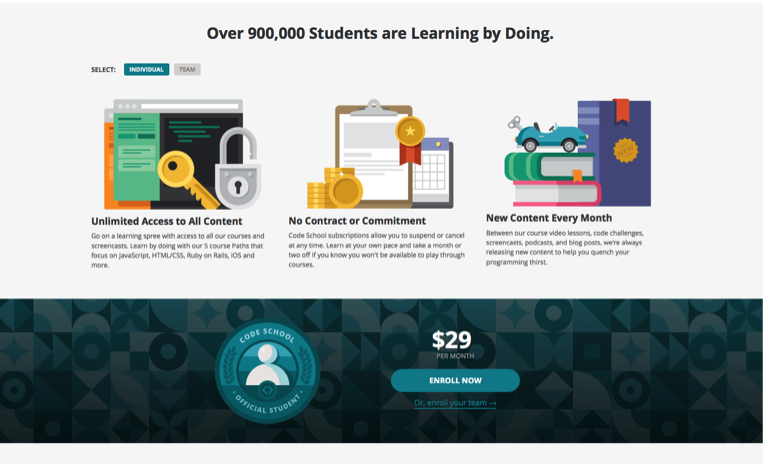 From March 4 through March 6, Code School is dropping its paywall. For a full 48 hours, you’ll be able to learn as much as you possibly can. There’s also an ‘Electives’ course aimed at informing you how the above classes can impact your development strategy. If you like what you see this weekend, Code School’s normal pricing is $29 per month. There’s also a free tier, but it limits your access to the first level on the courses. These courses won’t give you all the skills you need to land a job, but they’re a good way to dig into learning how to code (unless you want to learn iOS development; that course is still in Objective C). Your 48-hour window of opportunity starts Friday at 5pm EST, so if you’ve ever needed a bit of motivation to start learning a new programming language, this might be the push you need.